The Bentley W-12 GT, is a very nice ride, but adding the Rennen Forged RL S6 multi-spoke wheels to it truly brought out its potential. 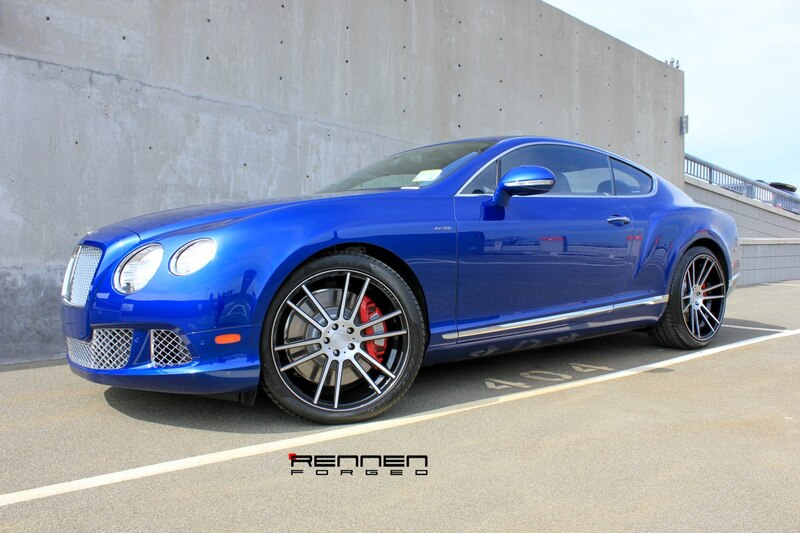 These concave forged wheels with the same factory tire setup by Pirelli, makes upgrading these wheels on the Bentley a no brainer. It maintains a very nice ride, since these Forged wheels fit perfectly like OEM, but lighter than the factory wheels and aesthetically more eye catching than the original. These forged wheels are finished with black gloss windows and machined brushed center, which is the hot new look today.